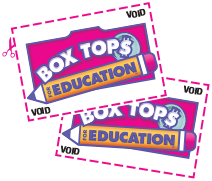 Reminder – Box Tops Contest Ends Jan. 25! Put all those “healthy” New Year Resolution groceries to work for Cabin John!!! The PTSA will give away a $25 Amazon gift card to the student who collects the most Box Tops for our school community. Additionally, everyone who participates in collecting Box Tops will enter to win another $25 Amazon Gift card. Bring an envelope bearing your student’s name and grade with your Box Tops to the main office or media center and drop it off in the boxes. You can leave as many envelopes as you wish and do so at any point in time until January 25, 2019. We will be counting and adding your Box Tops every time you donate. The winners will be announced the first week of February, 2019.